Crack is a form of cocaine that has been processed so that it can be smoked. It is stronger and has a more powerful effect than the powder form of cocaine because it is more concentrated and reaches the brain more quickly, but the high lasts a much shorter amount of time than powder cocaine. Crack is highly addictive, with users often becoming addicted after the first time they use it. Crack started to become popular in the 1970’s. By the mid eighties, crack addiction had become an epidemic. This substance was much easier and cheaper to get than cocaine, not to mention more powerful and highly addictive. In 2010, an estimated 625,000 Americans aged 12 or older used crack. Although it isn’t nearly the epidemic today that it use to be, it remains a dangerous problem in our society. Crack addicts are highly unpredictable. The addiction is so intense that most crack dependent individuals find themselves doing things they never thought they would do in order to maintain their addiction. Increased use can result in more intense symptoms. Instead of providing an enjoyable high, the experience turns into a state of anxiety and irritability. Hostility, more severe bouts of paranoia and a complete personality change are common with repeated use of. Long-term, regular use can even result in violence and other serious problems. 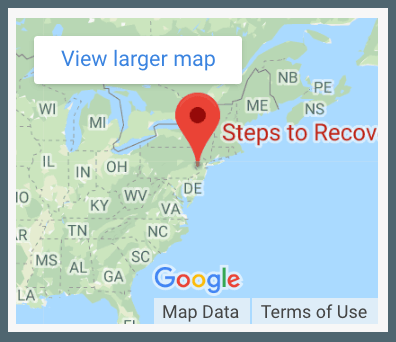 For the help you need to end your crack cocaine addiction, head to Steps to Recovery. Call today at 866-488-8684 to learn about your treatment options.